How Much Should Your Business Be Spending on Phones? For all businesses, communication tools are important. While choosing the right phone system won’t help you say the right things during client calls, choosing the right telephone service can affect your monthly overhead, the features you have access to, and your mobility tools. Let’s take a closer look at business phone spending, including the average costs, the features you get, and which type of phone systems give you more for less. How Much Do Most Businesses Spend on Traditional Office Phones? The average price range of phone service largely depends upon the type of business phones you’re using. For large businesses, Cost Owl estimates that the average monthly cost for a PBX phone system is $67 to $83 per user. Small businesses getting traditional phone service from the major service providers pay a monthly average of $69 per user. The cost for VoIP phone services varies widely, but it’s typically the most affordable option. How Much More Affordable Is VoIP Business Phone Service? You might have heard that VoIP phone systems are more affordable because VoIP (Voice over Internet Protocol) transmits via your internet connection rather than through traditional copper phone lines. However, just how much can VoIP service save on the cost of your business phone service? Choosing VoIP could save your business as much as 73 percent on phone costs compared to a PBX system. 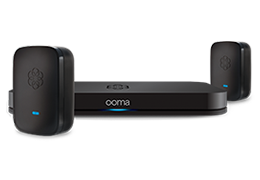 With the Ooma Office VoIP telephone system, there’s just one low monthly rate of $19.95 per user. The straightforward and scalable pricing model is contract free, making it easy for your phone service to accommodate changes in your business. Included is one toll-free number with 500 minutes of inbound calls per month. Additionally, all 35 advanced features are included for all users, so your staff has access to the communication tools they need. To get started with Ooma Office, there’s a one-time hardware purchase of an Ooma Office Base Station, which retails at $199.99. 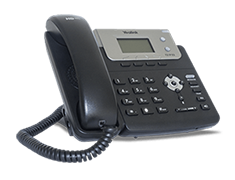 With this hardware, your business is able to use any combination of IP phones, analog phones, conference phones, and Ooma Linx wireless units. While not all VoIP services require an upfront hardware purchase, Ooma’s low monthly rates mean that you could net savings and reduce your total business expenses. On average, businesses with three users could save more than $6,000 over three years by switching to Ooma Office. Try our Savings Calculator to see how much you could save. Spending less on phone service is great, but that’s not the only advantage of Ooma Office. It’s also been named the #1 Business Phone Service for the past six years in PC Magazine’s Business Choice Awards with top scores for service reliability and likelihood to recommend Ooma. Is It Better to Only Use Mobile Phones for Your Business? If mobility and ease of access are important to your business, you may be considering skipping a main office line altogether and strictly using mobile phones for business phone calls. If an employee is using a personal phone as a work contact, there’s an inevitable loss of privacy. Even on off-hours, a ringing phone could be a friend calling about a barbeque, or it could be a client requesting an updated price quote. Additionally, situations such as an employee leaving the business or going on vacation could mean calls aren’t fielded. When using mobile phones, employees won’t have the option to transfer callers to another staff member, thus lowering the quality of customer service. In addition, your business could potentially lose a sale if the caller doesn’t follow through on hanging up and dialing the alternate phone number. Rather than using employees’ personal cell phones, another option is to provide staff with company cell phones to improve mobility and accessibility. The downside of this is that staff would then need to carry two phones, which is inconvenient at best. Moreover, adding a business cell phone plan on top of your office phone system can significantly increase the cost of business phone service. In one analysis by Oxford Economics, the average monthly cost for a mobile service plan is $75.71 per employee for a business of 500 employees, assuming a two-year contract commitment. When scaled to a business of 10,000 employees, the monthly rate drops to $58.67. Those costs are on top of office phone service. Can I Combine Business Phones with the Cell Phones? Yes! Combining office phone service with cell phone access is actually the smartest strategy. We’re not talking about bundling service plans, but instead, looking at innovative ways that VoIP let’s you have one phone plan for both desk phones and cell phones. With the Ooma Office mobile app, users can add the work phone line onto their personal mobile device, thus having access to two phone lines, one for personal and one for business. Not only does this provide the tools to promote work-life balance, but all work calls made with the app also will show the work phone number, presenting a consistently professional appearance to customers. With the ability to make and receive calls on your work line from anywhere, you’ll never again have to go through the explanation about which phone number to use at which times. The Ooma app also provides the same powerful calling features of your desk phone. Use the app to transfer calls to other employees, check voicemail, and do much more. Full usage of the app is included for all Ooma Office customers at no extra cost. With the Ooma app, your employees can balance mobility with connectivity, allowing them the freedom to make sales calls, telecommute, or catch their child’s softball game without risking that they may miss an important call. How Does VoIP Help Global Businesses? International calling rates vary based on the type of business phone system you’re using. VoIP services are typically able to provide international calling rates that are much lower than those of traditional phone providers. This is because it leverages behind-the-scenes internet transmission technology rather than relying upon traditional copper phone lines. Ooma’s international rates for businesses cost just pennies per minute, allowing you the freedom to make global calls without mentally calculating the steep costs of each international call. To understand how much cheaper international phone calls can be with VoIP rather than traditional phone service, we compared Ooma and Verizon’s international calling rates by taking the average per-minute rates to call landlines in 10 countries. In this case, Ooma’s VoIP international rates are 78 percent cheaper than traditional phone service rates. While traditional phone services offer the option to buy an international calling plan to get better rates, Ooma Office gives all businesses access to low-cost international calls, with no additional subscriptions required. No matter what country your business contacts are in, Ooma Office VoIP service provides an affordable way to stay connected. Additionally, Ooma’s international calling rates are available both from your desk phone and from the Ooma Office mobile app. This flexibility let’s you make international calls on the go, or manage time zone differences by placing international business calls from home outside of office hours. Learn more about why Ooma Office has been named the #1 VoIP business phone for the past five years.